Jennifer Diaz, Esq., former shareholder and chair of the Customs and International Trade practice group in the Miami office of law firm Becker & Poliakoff, has announced the opening of DIAZ TRADE LAW, P.A. NORTH MIAMI, Fla. - Jan. 4, 2016 - PRLog -- Jennifer Diaz (http://diaztradelaw.com/jennifer-diaz/), Esq., former shareholder and chair of the Customs and International Trade practice group in the Miami office of law firm Becker & Poliakoff, has announced the opening of DIAZ TRADE LAW, P.A., specializing in Customs and International Trade Legal Services. 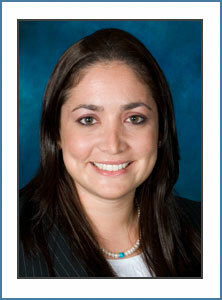 Ms. Diaz is Board Certified in International Law by the Florida Bar. She received a law degree from Nova Southeastern University and a bachelor’s degree from the University of Miami. Throughout her career, Diaz has been recognized as an outstanding leader and since 2012 has been named a “Rising Star” by Super Lawyers, is AV Rated, and has received numerous awards and accolades including: “40 Under 40 Outstanding Lawyers of South Florida” award, Cystic Fibrosis Foundation; Winner of 2015 AXA Advisors Global Businesswomen of the Year Award; “Outstanding Committee Outreach Award,” Young Interest Network (YIN) Co-Chair, American Bar Association; International Women’s Day Honoree, World Trade Center. Ms. Diaz is an expert in working with the many Federal agencies that regulate trade and prides herself on being proactive and results oriented on behalf of clients. She is a sought after professional speaker and writer, known for engaging her audiences and easily explaining dense subject matter. ABOUT DIAZ TRADE LAW, P.A. Editor’s note: Interviews with Jennifer Diaz are available upon request. : Diaz Trade Law, P.A.